It’s still me….just not the same me. It’s been 5 days since I’ve gotten back from Nicaragua. During those five days, I have had a lot of…well, for lack of a better word…stuff to think through. The last year has probably been the most stressful for me. Between school, immigration paperwork, planning trips, attending conferences, etc., it’s been a whirlwind. For some of you the thoughts that I have in this post won’t sound new. For the rest of you, it might come as a complete shock. This year I really struggled to find balance. With everything I listed in the first paragraph, you can probably guess why. I was out of the country for 23 out of the last 37 days. It changed my perspective on everything. I traveled to Mexico, Spain and Nicaragua and saw some of the most beautiful sites that I have ever seen in my life. But it wasn’t the things that I saw….it was the people that I experienced it with. I’ve been the type of person that is usually pretty content with staying in my apartment and not much of one to seek out a lot of socialization. Any other time that I’ve come home from being away for more than a few days, I was always happy to be able to be in my bubble for a little while. This time was different. I found myself legitimately not wanting to be home. In fact, I called my husband and asked him where he saw us living in the next couple of years. When I got ready to get dressed that first morning, I went into my closet full of clothes and didn’t find anything that I felt like wearing. I ended up grabbing an outfit from my suitcase, which I still have left to unpack. I think that this speaks volumes in terms of the amount of stuff I’ve accumulated over the years. I was content in finding something in my suitcase, which only had enough clothes for a little over a week. For those of you who have made it this far in the post, I’m not up and quitting my job. So please don’t start sending me the frantic messages asking if I’m leaving. I couldn’t stop teaching as it’s the only thing that I have ever thought of doing with my life. But, I do want to do more. I want to have real connections to the themes that I teach in my class, and I want to be able to grow those relationships that have existed as a result of my travels. I think that when you travel somewhere more than once, you stop experiencing things for the first time and start loving on those people that you connected with. I’m still looking to experience new things, but that’s not at the top of my priority list. I want to make a list of the people that I want to see. It’s hard to explain exactly what this feeling is, but for those of you who have traveled somewhere, you’ll know exactly what I’m talking about. I don’t know when the next trip will be for me, but I know that I want it to be one where people are the primary reason that I travel. I’m not saying that I won’t ever go to a brand new place, but I will seek out new people in those places that will be able to give me an insight into their lives. It’s one thing to be able to say that you’ve been to places, but it’s a completely different thing to say that you’ve met amazing people in those places. Everyone has a story to tell. I want to know that story. We’ve had a few late nights, so I haven’t been able to update as much as I would have liked! While I have been seeing a lot of the same presentations, I have been learning more than I thought I could. Thursday, we visited La Esperanza Granada, which is one of the educational programs that the Pulsera Project supports. Instead of a primary school, we were able to visit a secondary school and visit with a few of the teachers. I’ve learned a little more about the educational system this year and how different teaching is here versus the United States. The average monthly salary of a teacher is $120 and, just like teachers back home, they also have to spend their own money in their classrooms. The classroom sizes are much bigger (but not by much with current budget issues) with at least 40 students in a room. The entire curriculum for grades K-12 is written and distributed by the government, and I’ve noticed that this is also the case in many other countries. Whereas the U.S. government sets the national goals for education, a lot is left up to the states on how they wish to implement those goals. There are no teachers unions in Nicaragua, and the government is quick to reprimand those who try to speak out and demand better wages, more supplies, etc. Back home, we highly value the power of teacher unions and the working conditions of teachers. I can’t even begin to imagine how I would feel if that power were taken away from me. We left Granada Friday morning and stopped in Managua where an organization called THRIIVE presented on the loan program that they have for existing businesses who are wishing to expand. They have a very unique system in how those loans are repaid. Ten percent of the loan is paid back monetarily, and the remaining 90% is repaid through using their business to give back to the community. 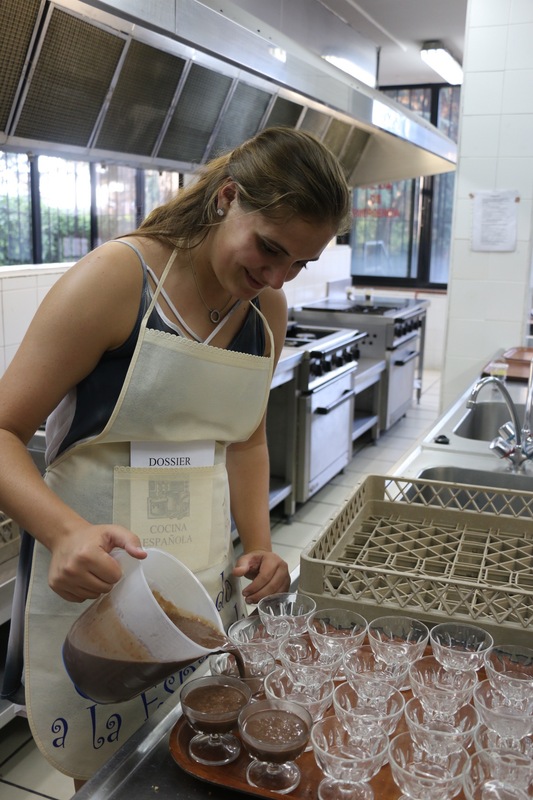 For example, a baker receives a loan to expand his kitchen which would also allow him to add employees to his staff. He can then use his business to hold a cooking class for single mothers as a “payment” towards his loan. The business owner and THRIIVE come to an agreement as to how often the pay-it-forward promise is upheld. Arriving in Leon on Friday, I was focused on our trip to Chichigalpa on Saturday. Last year, we spent the most time with this group of artisans, and because of that, I was extremely excited to see how the kids had grown and what changes had been made from the last time I saw them. This area has benefited greatly from the housing program through the Pulsera Project. Germán, one of the men plagued with chronic kidney disease as a result of working in the sugar cane fields, was able to show us the changes that he had made in his home. 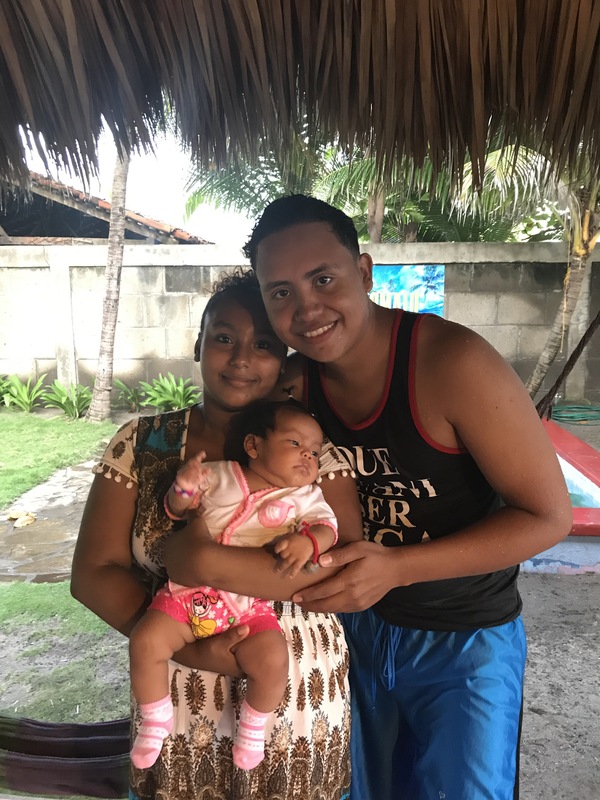 Marcelino, one of the younger artisans, had gotten married and recently had a baby who is now almost 2 months old. He also was able to make many changes in his home, including new paint, a new wall to separate the kitchen from the living area and a roof. All of these men are so proud of what they have been able to accomplish as a result of being employed by the Pulsera Project. Afterwards, we all went to the beach! This was such a great time to converse and build those human connections. I think it’s safe to say that there is an unspoken amount of admiration that goes both ways. I admire the amount of work that people in this country do and how much they value all of the priceless things in the world. They admire us for having our students learn about them and sell their work. There was no division of race, nationality or economic status. We were just a group of people hanging out on the beach for the afternoon. 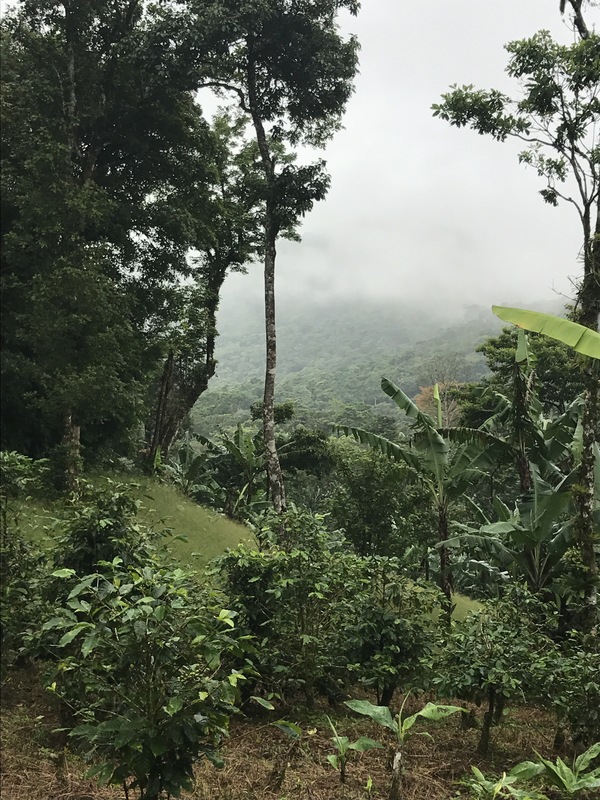 Yesterday, we headed up to La Hermandad to escape civilization for the night and learn about the sustainable coffee plantation. We came back down today to visit the women of El Plomo. This year we got to make our own bracelets! I am always inspired by these four women who have created a business and maintain such a great relationship with their communities. Tonight we are staying at a social enterprise hotel and taking a tour of the grounds tomorrow. I’m excited to see how this trip ends, and I’m really looking forward to working on activities with this group of teachers! 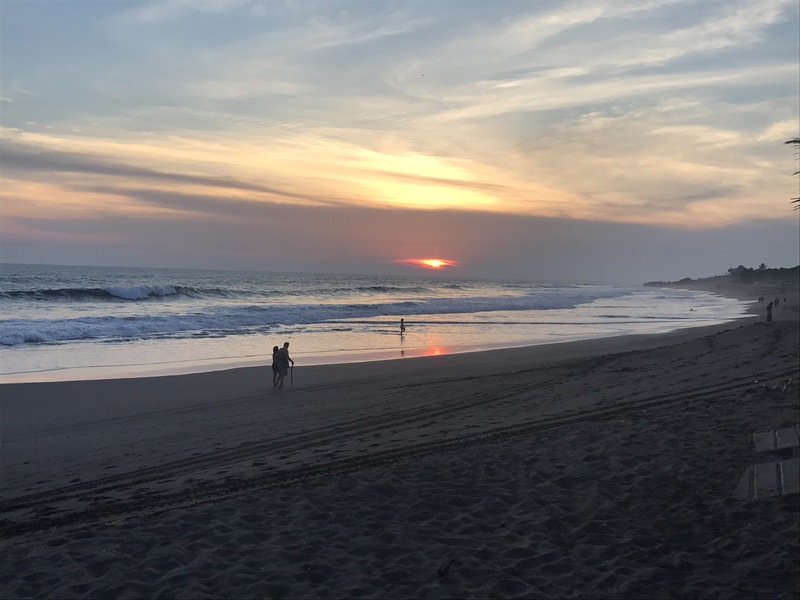 If you followed my blog last summer, you might remember that I traveled to Nicaragua last summer with the Pulsera Project, an organization that I use in my classroom as a service learning component. 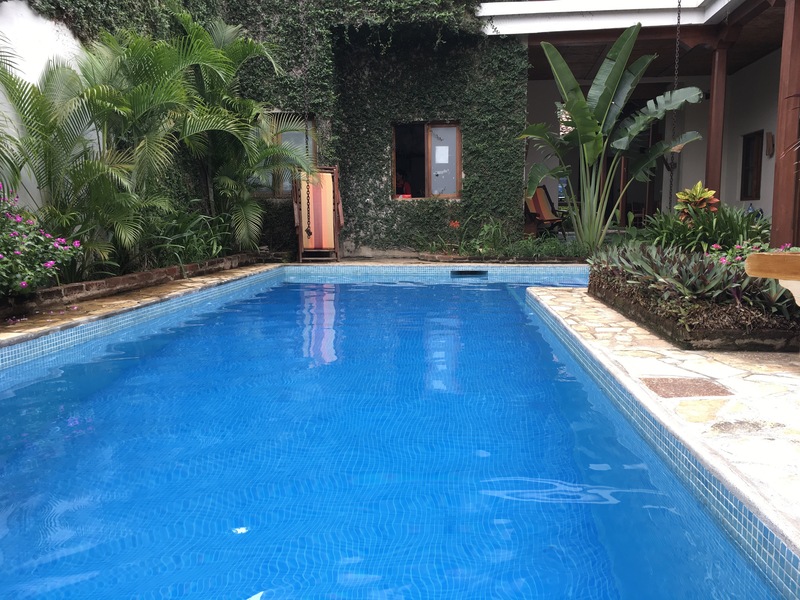 I was selected with 7 other teachers to help create activities that would allow students in the U.S. to understand more about the culture, economics and just the ins and outs of Nicaragua. 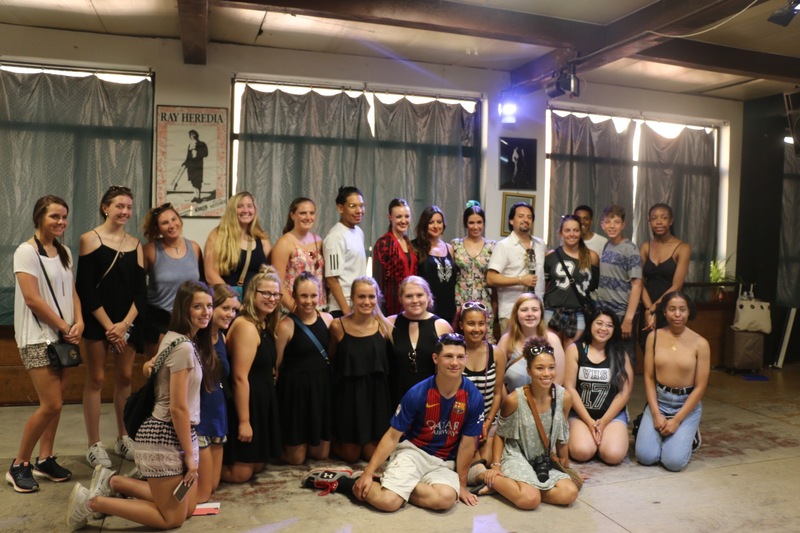 When I saw that there was another teacher tour, I was so excited to see what they would be able to create! So how did I end up here? Completely by chance. I met two of the co-founders in person at a conference. I had ideas about more lessons that I wanted to create, and I found out that they still had an opening for the teacher trip. Together we figured that it might be beneficial for me to travel with them again and to come with more focused ideas while we are interacting with the artisans. I can definitely see a difference with myself and how I interact with the people I met last year. It definitely changed my perspective in that even though I haven’t seen anyone in almost a year, they still remember who I am. I think it is mutual respect for what they do here in Nicaragua and how I share that with my students back home. Even though most of what we are going to a lot of what I did last year, I plan on focusing my posts with the experiences that are new to me. Today we already experienced what I didn’t get a chance to see last year! Today is the day of the month when the artisans do their entrega, in which they turn in their completed bracelets. Many of them have completed upwards of 400 for the month. These are then counted, sorted into boxes, and eventurally shipped to the U.S. where they are distributed to he hundreds of schools across the country that participate in sales. We were also able to eat lunch and enjoy time getting to know and meet some of the artisans. As I sit here at the pool surrounded by another group of great teachers, I can’t wait to see what the rest of this week holds! It’s Kylie again, here to tell you about our incredible trip. Like I said the day we left, I was super eager and incredibly excited to go on this trip, and let me tell you this was the trip of a lifetime. When we first got to Madrid last Thursday it was so breath taking in the amount of history just one town can possess. As soon as we got there we were all out and about touring the great city with our even greater tour guide, Sabela. We saw so many things that Mrs. Lopez has taught us about in class, and I personally think that is the coolest part about it. For example when we stopped outside the Plaza de Toros, it took me back to Spanish IV when we learned about the whole bull fighting process and even all about the famous bull fighter Manolete. Other examples would be the Reina Sofia Museum where the famous panting Guernica by Picasso, which we’ve studied for the past two years is located. You can only see so much detail through a photograph of a painting, so seeing it in person, gave me goosebumps of just how much of a story that painting actually tells. 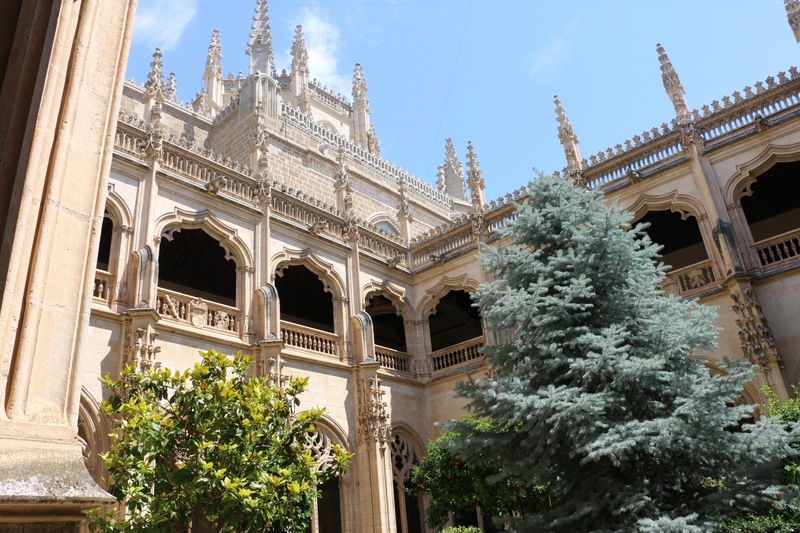 As you’ve read in the previous blogs we also visited many museums on just about everything we learned in Spanish III and Spanish IV, and more. Now onto Barcelona, such a beautiful place, and not nearly as hot as Madrid. Still full of history, but one thing, the ocean. 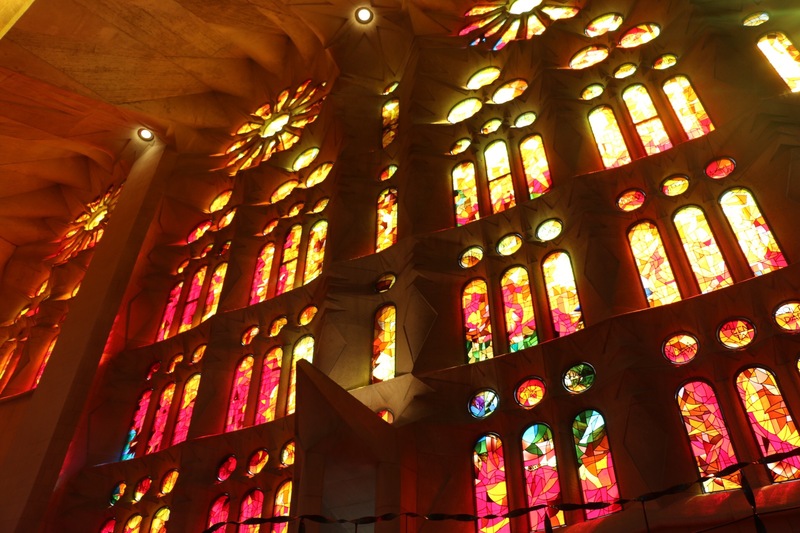 The Sagrada familia church, Casa Milá, La pedrera, Figueres, you name it we saw it and all of its beauty and history. In my opinion its so amazing that we all had the opportunity to see a place that isn’t just surrounded by cornfields and dirt roads. We saw architecture and art that is dated back to the 18th century, things that none of us probably thought we would ever see in person, that’s how I felt at least. Seeing a new culture face to face not just from a classroom lesson really helps my love for the Spanish culture. It makes me want to see and do so much more. I plan on minoring in Spanish next year at SEMO and I hope I learn so much and get to see and experience so much more. The world is out there for people to see, you just have to have the love and determination to travel, its right there in your hands. All in all, this trip has been amazing. We had an amazing tour guide, teacher, and other school. Getting the opportunity to travel with my teacher, and her awesome mom, Julie was an incredible experience. We all made new friends with the California school, and even their teacher Elizabeth. Yes, we had a few bumps in the road, but that is expected in any trip. 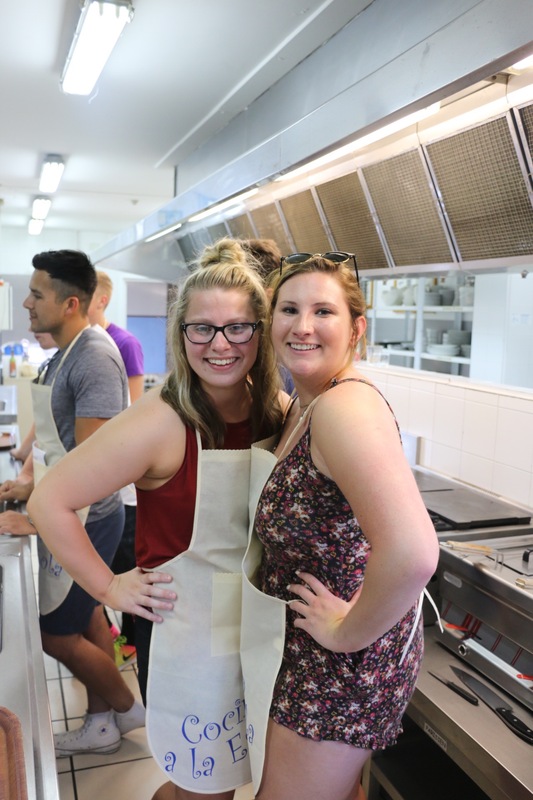 We got to experience new foods, new places and meet new people. I will never forget this trip, and hopefully I can come back to this beautiful place one day. Hey everyone, this is Kennedy. I was a student in Mrs Lopez’s Spanish 4 class. Today was our final day of the trip, and we sure did have a good time. We started our day with a tour of the amazing Salvador Dalí museum in Figueres. He is my personal favorite, and I had been waiting to go to his museum since we arrived. Dalí is known for his very eccentric style of art. While in the museum, we saw numerous pieces of Dalí’s work, including Inaugural Goose Flesh, Self Portrait with Grilled Bacon, Face of Mae West, Poetry of America, Automatic Beginnning of a Portrait of Gala, and Antropomorphic Face. During the hour bus trip to Figueres and back to Barcelona, we had a karakoke session with our tour director, Sabela. She taught us some new songs, and we shared some of our favorites from our March Madness song bracket. After we returned from the museum tour, we made a quick stop at the hotel, then did some shopping before dinner. We ate at iTapas, where we were served asparagus topped with bacon,sausage and potatoes, and tiramisu for dessert. After dinner, some returned to the hotel, while a few of us finished up our shopping. We’ve had an amazing trip filled with beautiful sights to see and loads of laughter, but I think most are ready to go back home. Tomorrow we fly to Charlotte, then we are off to St. Louis. Adiós España, y hola Los Estados Unidos! After another full day in Barcelona, I am exhausted! The hotel that we are staying at has a great breakfast, which is where our day began. They had so many different types of food! From pancakes, eggs and bacon to a Spanish favorite: churros and chocolate! I think this hotel has the best variety for us to really get filled up since we eat at the typical Spanish time for lunch, which is around 2. The students have also been fully exposed to the public transportation system. It’s such a great way to get them more comfortabel with those systems back home if they ever have the chance to live in a major city after leaving high school. We are pros at the metro! Every time we get on the metro, we make sure that we are divided into groups as to not leave anyone behind, and Sabela, our tour director, let them figure out how we are going to get to our destination. She is really great at having the students do this because it allows them to learn and not just follow! After exploring more of this museum, the students were able to learn more about the Milá family and how they lived. Sabela was also very excited to tell us that the chimneys inspired the storm trooper helmets from Star Wars. Who knew that Guadí had such an influence in recent years! Next up on our agenda was the Museu Picasso: a museum solely dedicated to the works of the great Pablo Picasso. For me, the most interesting part of the museum was the exhibit for his version of Las Meninas. Las Meninas was a work originally painted by the greatest classical painter, Diego Velazquez. Because so many modern artists looked up to the greats, they paid tribute by recreating some of the most famous works of those artists. I couldn’t take pictures, so please look this up if you haven’t seen it yet! I always thought that painters just came up with an idea and created masterpieces. I never fully understood how many sketches and test-runs artists went through before creating the final painting. There were TWO full rooms of these “before” images that helped to create the final version! It was incredible to see this process! We ended our day by seeing one of the most beautiful place in my mind: the shores of the Mediterranean Sea! The students loved being on the beach for about two hours, which was a great time to relax and just enjoy the sunshine and company. 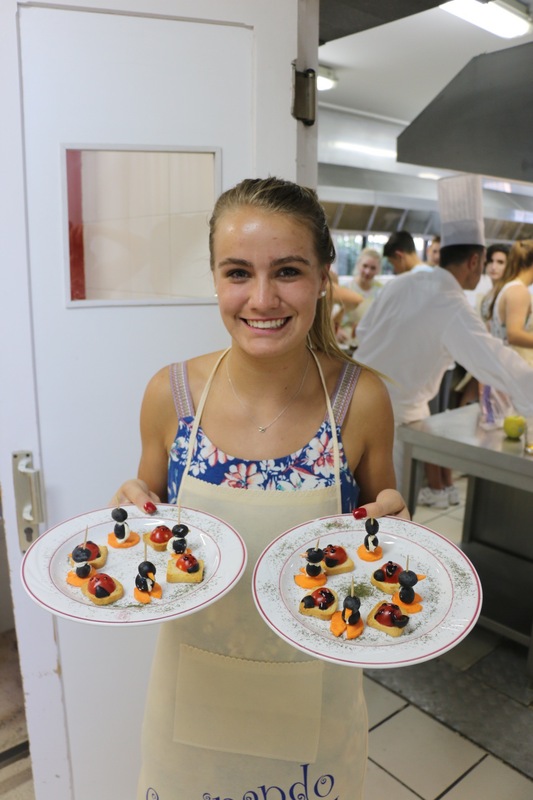 This evening the students experienced what Sabela called the most traditional Spanish dinners. Spanish Omlette, spicy potatoes, sausage and noodle paella would have been what she would have had at home. 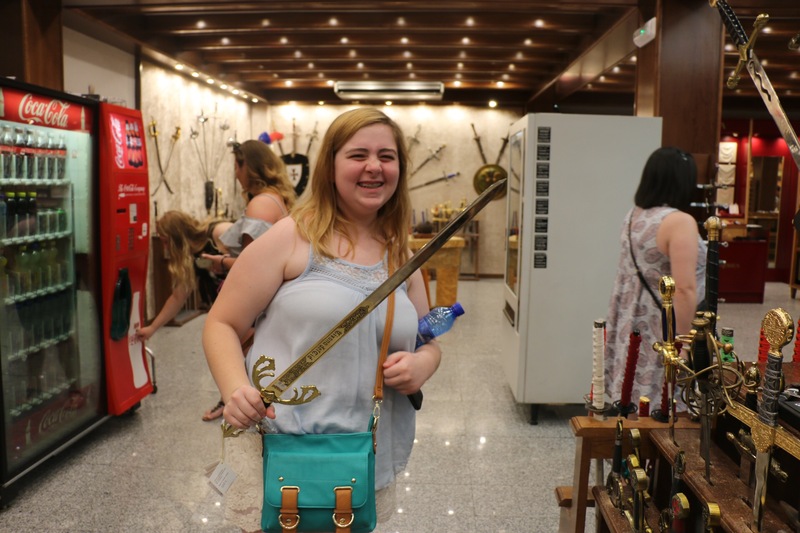 I think it’s great that Worldstrides does such a good job of trying to give the most authentic experience while traveling abroad. It really creates a great foundation if students choose to travel abroad in the future. Tomorrow is our last day in Spain, and we’ll be spending it Figureres, which is the hometown of the surrealist painter, Salvador Dalí! One of my students has already volunteered to type tomorrow’s blog because she is beyond excited to visit this place! Look for her post tomorrow! ¡Hasta mañana! Hey everyone! This is Laci and Haley updating you on our trip in España. We have both had Mrs. Lopez as our Spanish teacher. Today we zoomed off to Barcelona on a high speed train. 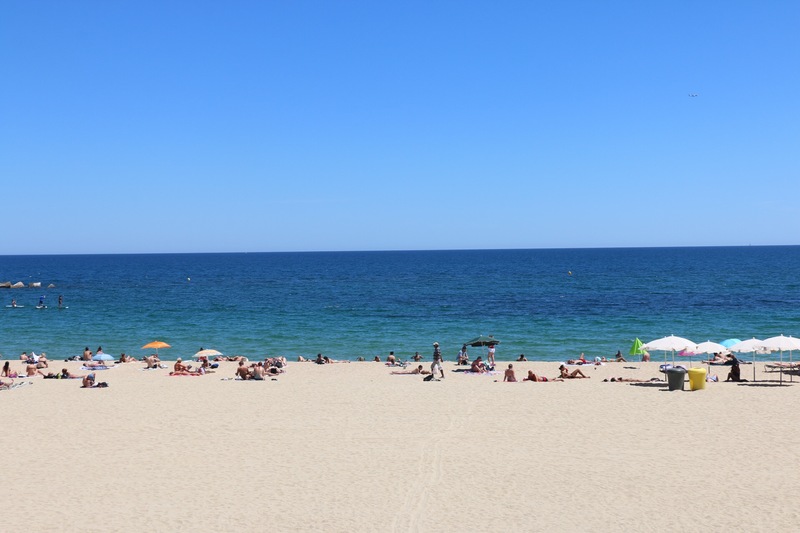 The weather in Barcelona is definitely a lot nicer and cooler here which makes up for our hot days in Madrid! To begin our adventure in Barcelona we visited Park Güell, which was incredibly breathtaking and not to mention the Cheetah Girls was filmed there ;). 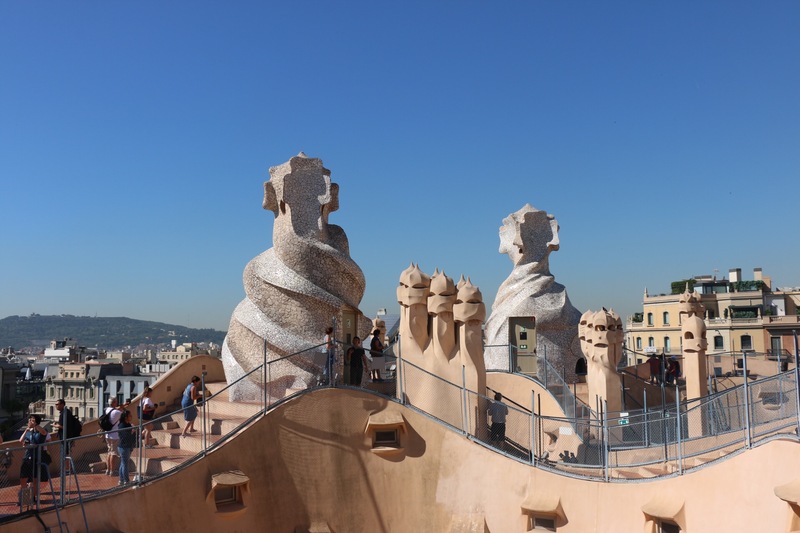 The park was designed by Güell and the architect was Antoni Gaudí. 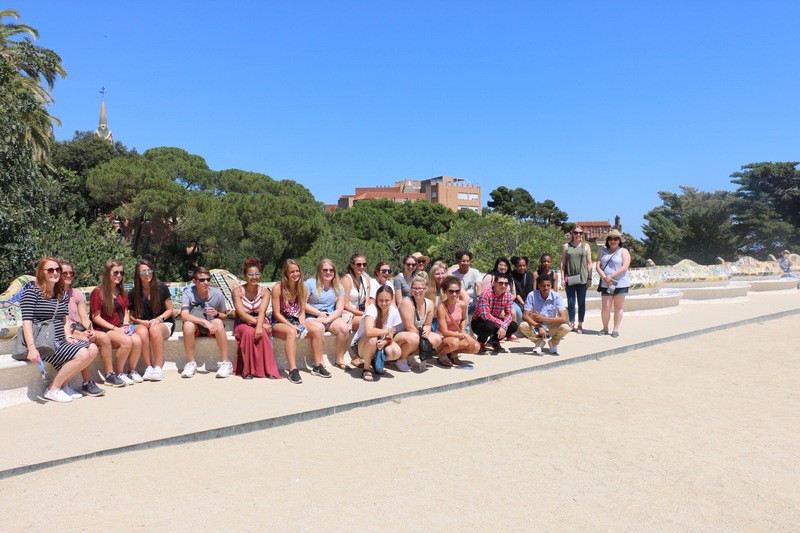 Next we were on a bus tour viewing various sights of Barcelona, such as the Olympic Stadium and the Barcelona sky line. We also drove past an old bull fighting ring that has been turned into a shopping center since bull fighting has been banned in the region of Cataluña. 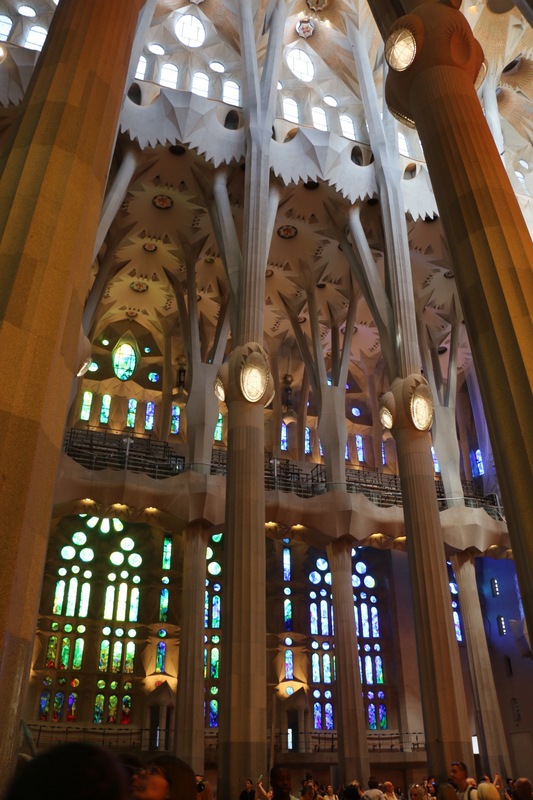 Our next stop was La Sagrada Familia, which literally took our breath away. Words cannot describe the beauty of the church, telling a story unimaginable through pictures. Plus, the church is not even finished yet! There are plans to have it finished in nine years. Seeing La Sagrada Familia made Laci wish her youth group was here to experience it with her. Before dinner we had some free time and some of us went and relaxed in a cafe that was Alice in Wonderland themed. 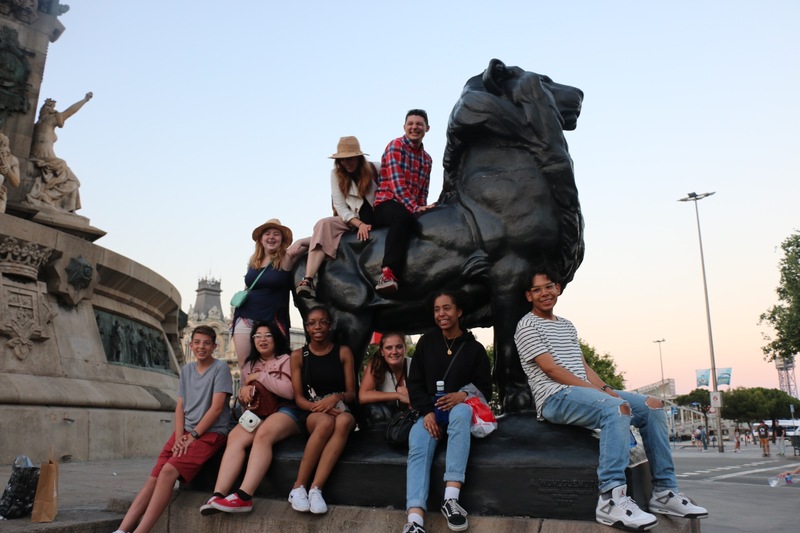 Instead of taking the metro we decided to take the scenic walk to our hotel which was full of laughter as we posed with the lion statues just below the famous Christopher Columbus statue (that is pointing the wrong way). We finished our day with our nightly meeting discussing our plans for the next day and the comical topic of the purpose of a bidet. Day 1 in Barcelona was a huge success and we can’t wait to see what adventures we will encounter the next two days! P.S. As we were laying down to go to bed at midnight, Laci’s bottom bunk flipped while she was in bed and she was pinned between the wall and her bed screaming for help. Kennedy, Kylie, and I helped Laci escape. Laci was not harmed in her escape. For the last two posts, you’ve heard from my students, but I want you to know what I see from this entire experience so far. I have seen students use the language and knowledge from their classes to draw out information about the places and art we have seen. Students have really been trying to use Spanish as much as possible, even if it’s just learning how to get help or what a word is. For me, it’s really gratifying to see that the lessons and units that I prepare is making an impact. If a student hasn’t learned about something yet, one of the older students can tell them everything they learned from me! They really do listen when I think they don’t. This evening was also special because the students were treated to a full flamenco lesson. And boy, did they try to dance their hearts out! 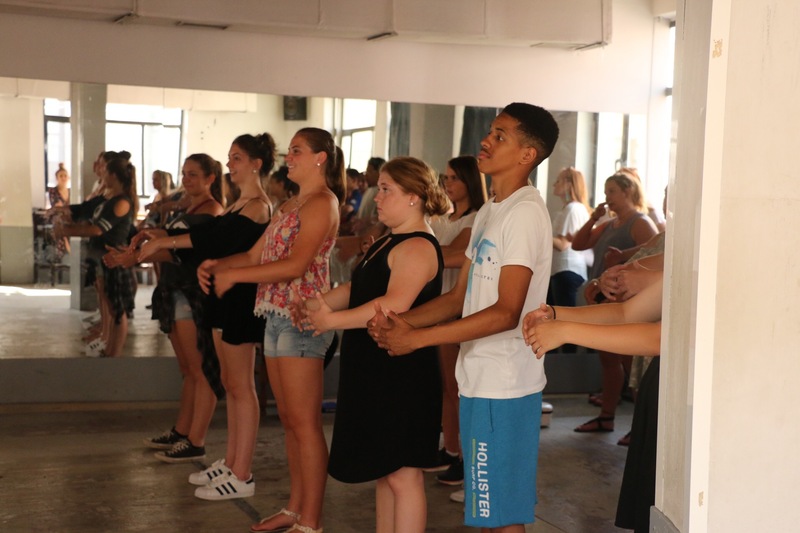 Our instructor, Magdalena, was really great at making sure the students learned the steps, and most importantly, learn how to feel the music. We were also able to see the pros perform after understanding the ins and outs of this traditional Spanish dance. My name is Phoenix Johnson, and I’ve been a student of Mrs. Lopez for the past 3 years. 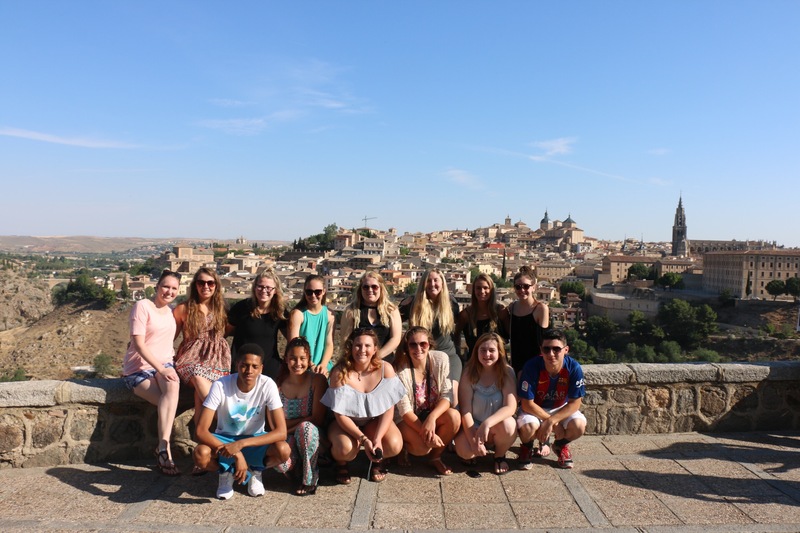 After cooking for the teachers last night, today we traveled to the Old town of Toledo. 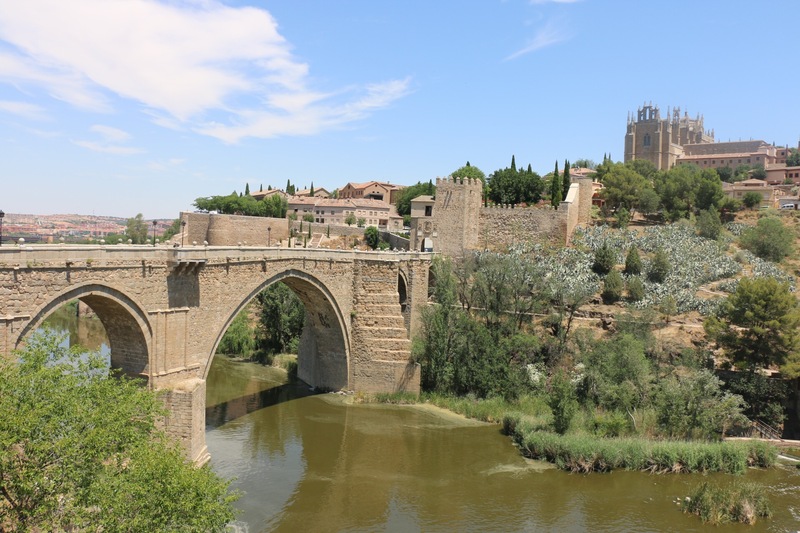 Some structures were built in the 1100s and in the old city there are monasteries, cathedrals, and a synagogue. 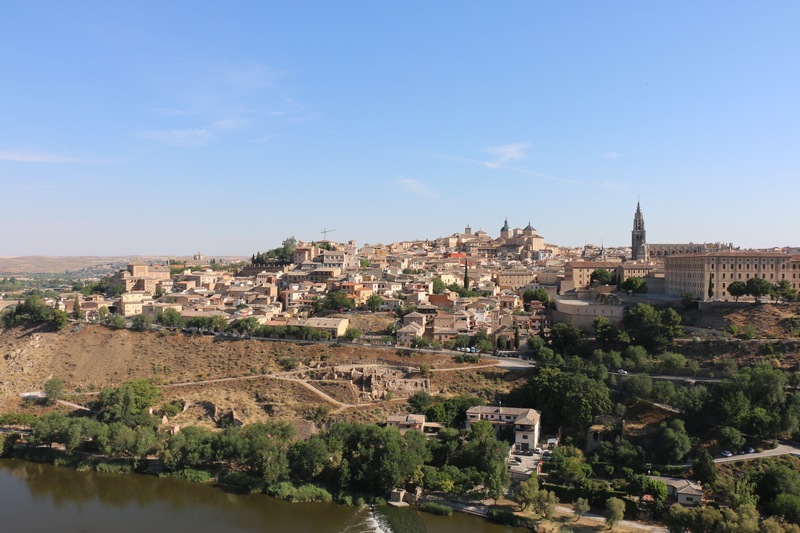 The old city is surrounded by hills and a river making the photos very pretty. Since there was mass and we couldn’t visit the cathedrals today, we went zip lining across the river. “AAAAAAHHHHHHHH,” ( Most of the sounds we made). Then, we ate lunch at the local restaurant and I tried lamb for the first time. Fue muy rico (It was tasty). After taking the bus an hour back to Madrid, we went and learned flamenco. After dancing and learning the communication of the dancer and singer, we were able to see it in action. The dance instructor, her friend, the beautiful singer, and amazing guitarist performed a great show. They demonstrated dancing and singing with your soul and heart to tell us a story. Finally, we got some free time to try new food and get the rest of our souvenirs we needed. Next stop BARCELONA! After getting in late last night, we all decided that it was time for bed because we had an early morning. Here’s what we did yesterday from a student perspective. Hola. I am Tiara, another student of Profe Lopez. Yesterday everyone had a blast! In the morning it was a little difficult to wake up but once we ate breakfast, we were ready for a fun day. First, we boarded a tour bus with a wonderful guide named Ana. Along the tour we stopped at the Museo Del Prado; full of beautiful classical art. Next, we continued our tour of Madrid and ended it at the Museo Reina Sofia, which is an amazing and huge modern art museum. 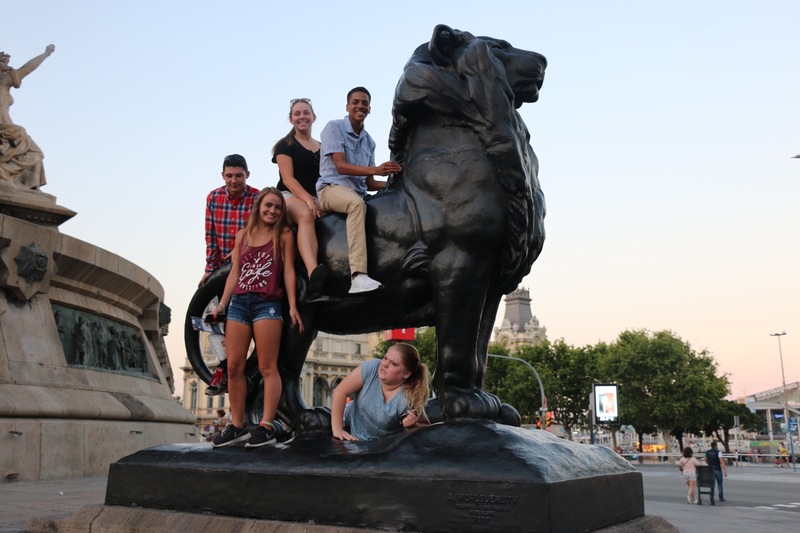 Once we left the museum, then came Retiro Park, the old king’s playground, and we all did a scavenger hunt. 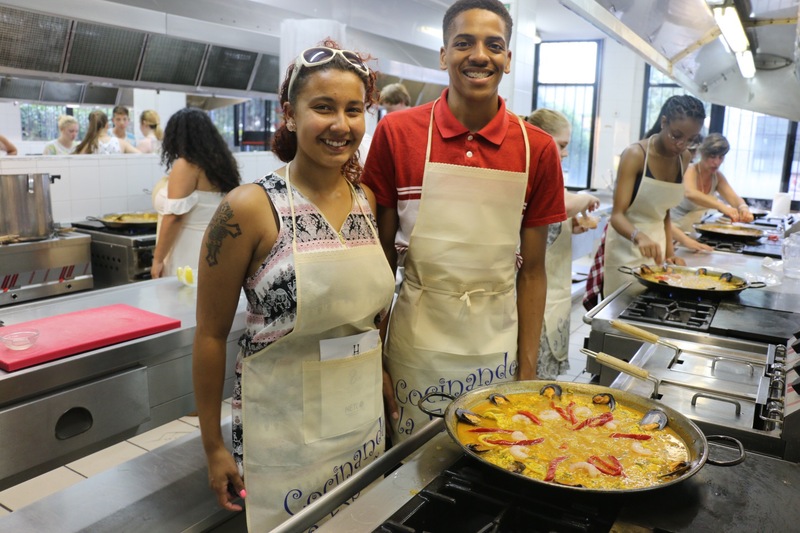 Finally, we finished our long day at culinary school learning how to make paella, omelets, chocolate dessert, and lemonade for our entire group. Day 2 of Madrid was absolutely AMAZING! But we know there is much more to come.